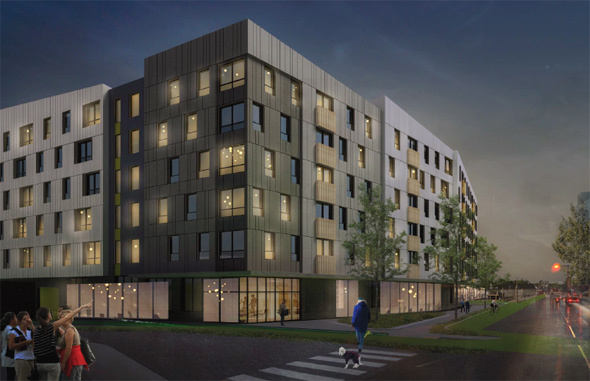 The Board of Appeals yesterday approved a plan by two community developers for a 135-unit, six-story apartment building - and two townhouses - on what is now an MBTA parking lot at the Mattapan Square T station. Read more. 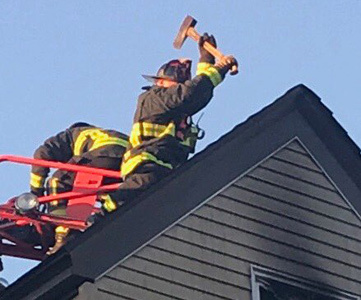 The Boston Fire Department reports a fire that broke out around 5:30 a.m. at 614 River St., off Malta Street, sent one resident to the hospital with injuries not considered life threatening. Read more. Boston Police report arresting a teenager they say robbed the Santander Bank branch at 860 River St. in Hyde Park around 12:50 p.m. yesterday. Read more. the fenced-off field of weeds and concrete on River Street across from Rosa Street back into the park it once was. Read more. UPDATE: Victim identified as Jocelin Nordeus, 58. Stanley Staco reports a man was stabbed around 2:50 a.m. on River Street. WBZ reports the man died. This is Boston's 22nd murder of the year and the second in Mattapan. Boston Police report arresting three men they say pushed a driver out of his car at gunpoint at River and Violante streets near Mattapan Square last night. Read more. Boston Police report a man arrested yesterday for a Jan. 10 holdup at a market on North Beacon Street in Brighton now also faces charges for five similar armed robberies in Mattapan Square and Brighton this month. Read more. The Zoning Board of Appeal yesterday approved Sadiq Ahmad's request to re-open the shuttered New York Fried Chicken take-out place on River Street, near Hyde Park Avenue, as New Yorker Fried Chicken. Read more. The Boston Licensing Board voted yesterday to revoke the food-serving license for New York Fried Chicken, 1251 River St., because listed owner Riaz Ali Shah hid the real owner of the take-out place and because he's agreed to plead guilty to federal tax and immigration fraud charges. Read more. Boston Police report arresting Nickolas Baldeo, 20, of Fall River, for the armed robbery of the River Park Food Mart, 1503 River St., around 7:20 p.m. on Sunday. Read more. Around 7:20 p.m. at 1503 River St. One victim grazed in the head, the other in the hand. The Boston Licensing Board next week considers what to do about New York Fried Chicken, 1269 River St., one of whose co-owners pleaded guilty earlier this year to tax evasion and visa fraud - unlike his co-owners, who had the foresight to flee to Pakistan first. Read more. What's left of the theater. Photo by Mike Ball. The Bulletin reports a team of Boston College students studying the long shuttered Everett Square Theatre on Fairmount Avenue estimate restoring its faded glory would cost $10.2 million - but that the place could be eligible for $4 million in tax credits if its owner can obtain historic designation. A man robbed the Metro PCS store at 1266 River St in Cleary Square around 6:20 p.m. by pointing a taser at a clerk, then jumped on a scooter and rode away - only to be captured not long after by police officers at Cummins Highway and Rosewood Street in Mattapan after a slow-speed chase. Boston Preparatory Charter Public School, which recently finished its new school on River Street, across from the PriceRite, has filed plans with the BPDA for an addition to handle the 300 new students the state decided in January to let it add. Read more. Around 4:55 p.m. on Alpine Street at River Street. The Bulletin reports that Dollar Tree on River Street, near the Mattapan line, lost $50,000 in merchandise to shoplifters last year, which the store manager says could cost him his job and the neighborhood the store.